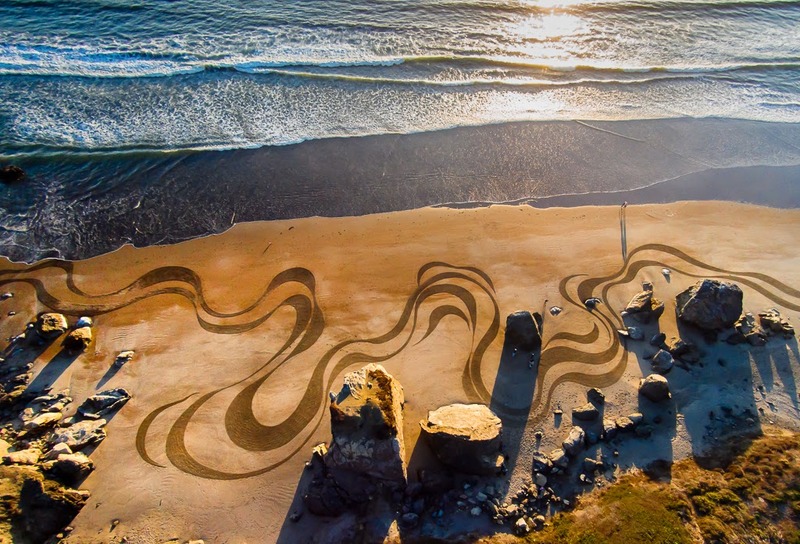 Creating designs that can reach up to 100,000 feet, he uses nature and his surroundings as inspiration and starting points for his large scale organic patterns. For the larger geometric patterns, he uses a rope as a compass to steady the design – but in general Amador loves to emerge himself in the act of creating and allows the artwork to grow without too much direction. Starting with a rough sketch in the sand, he makes sure he begins the process on either a full moon or at the very least, a low tide. 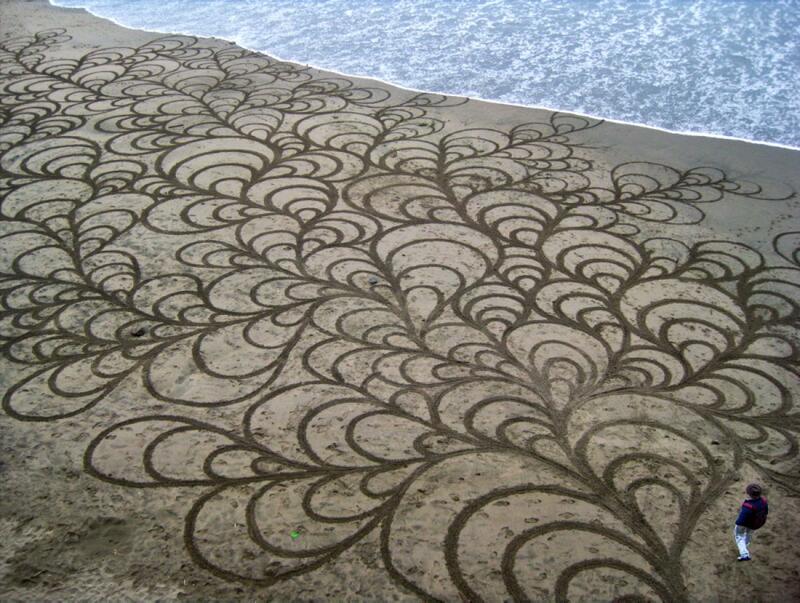 He works quickly and efficiently, completing most designs in around 2 hours. 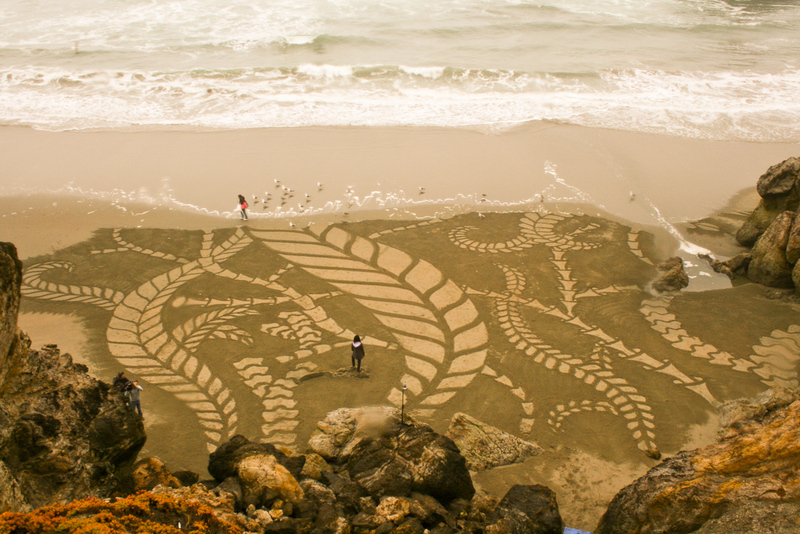 Depending on the beach constraints and the tides, he can take longer and can concentrate on perfecting the shapes and forms. 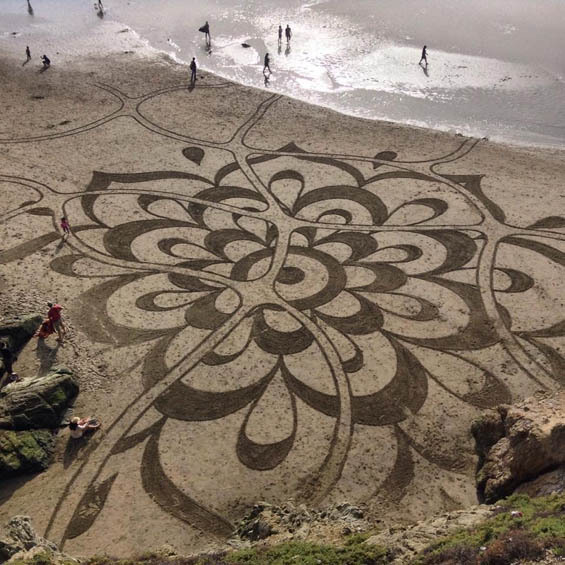 Amador says he uses the contrasting shades of the raked sand, and non-raked sand to make designs that can resemble dried mud, honeycomb, flower buds, fern fronds, snail trails or snowflakes. 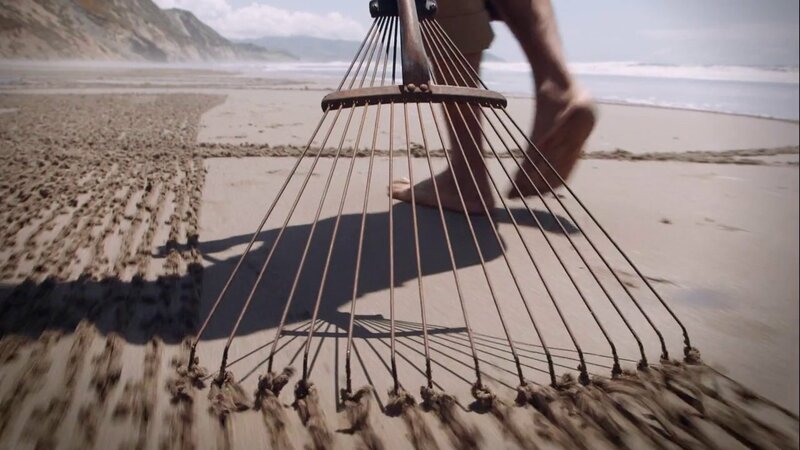 Used as a means of meditation, solitude, focus and reflection, Amador has been raking sand since 2004 and still finds pleasure in the activity. He revels in the impermanence of the material and enjoys the challenge of creating something so quickly that will be disappear as quickly as he made it. Something big that comes with this art is the recognition of impermanence. I create with the knowledge of the impending erasure of my efforts, often while I am working. It has turned the artform into a practice of process over product. I am always striving for the perfect photo that I can share proudly. But when I get to the beach I have already let go of that expectation and surrender to the act of creation. You can visit Andres site here.